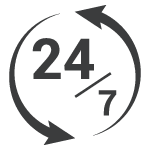 HVAC emergency Montreal | Schedule a Service Call | JCD Refrigeration Inc.
JCD Refrigeration Inc. experts offer 24/7 emergency service on the island of Montreal for urgent repairs. We are always available to help, and strive to bring you the best service by offering fast and reliable service. Please fill out this form for urgent support.